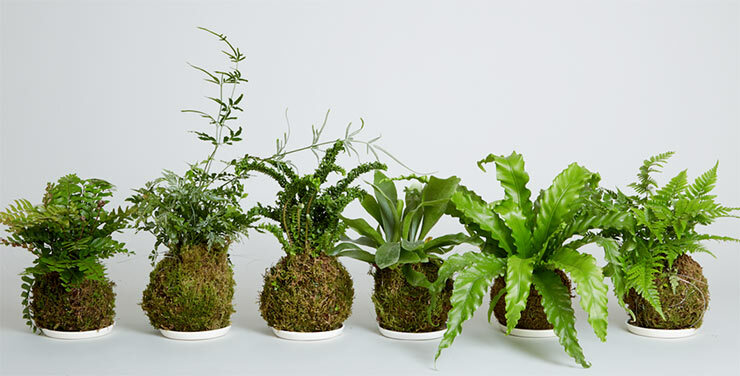 In this hour workshop, you will learn how to make Kokedama Hanging Plants. You'll select your new plant friend and then pick from a few styles of binding material to create this beautiful living sculpture. Tracey will also go over how to care for it once you get it home. Each student will take home a complete Kokedama. Seating is limited to 6 people so this will be a very intimate but no pressure environment where you get hands-on learning. Kokedama (苔玉, in English, literally "moss ball") is a ball of soil, covered with moss, on which an ornamental plant grows. The idea has its origins in Japan, where it is a combination of the nearai 根洗い (literally "root wash," but meaning "no pot") bonsai and kusamono planting styles.